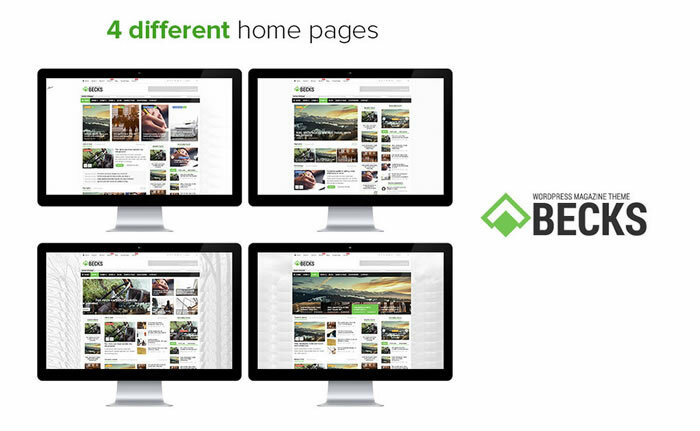 Becks is ultra clean, super flexible WordPress magazine theme crafted for magazine, news, blog websites and also it allows you to create the websites for any other purpose. Its ultra responsive WordPress theme, adapts nicely on any screen resolution its being viewed on. Home page is fully widgetized which means you can easily arrange the home page sections in any order you like and also you can use any section multiple instances. Built in support for google rich snippets microdata and its rating system complies with schema.org microdata standards which helps search engines to understand your content and display it in useful and relevant way. Also built with user rating system and you can enable or disable this feature through theme options panel. Becks news / magazine WordPress theme comes with real unlimited colour options, you can select the colour of your choice for each category and also for other layout sections using the built-in colour picker from the WordPress admin panel. Becks theme combines the excellence of design and the code quality, tested with WordPress debugging tools to avoid any PHP errors or warnings.